Many years ago a young lad stood among the crowd at a ballroom - that's what they used to call them in those days - not a million miles from Welwyn Hatfield and witnessed a phenomenon that was about to change the face of popular music. 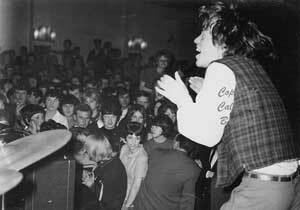 Before him, pounding out a bassy bluesy ear-splitting set, were five young men in leather waistcoats and white shirts. He didn't have to be genius to know that this was something special. It was completely different from anything that had gone before at a venue that had featured most of the top names in the music world. 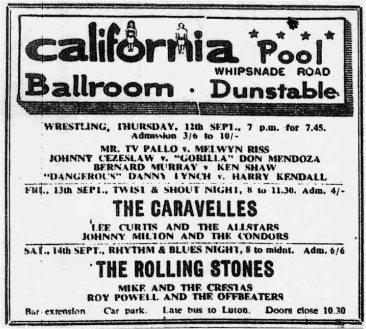 That venue was the California at the foot of Dunstable Downs. That young man was myself - a spotty youth who liked to think he had his finger on the pulse as far as pop music was concerned - after all, he had the responsible job of buying the new records for the jukebox in his local coffee bar. The Cali' as this was known was run by the Green family, and they had a happy knack of being able to book the big acts, often signing them at a time when they were virtually unknown, only for them to be in the big time when they made their Cali appearance. So it was that on that particular earth-shattering night, hundreds of us stood and watched in awe as a group who had just released their first single on to the market showed us why the rock world was beginning to take a lot of notice of them. 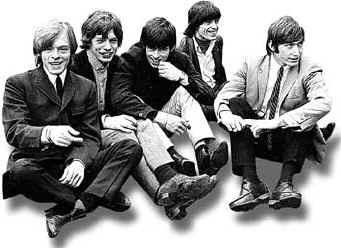 By now you will have realised that the group was called the Rolling Stones. Messrs. Jagger, Jones, Richards, Watts and Wyman hit us with a noise that was louder than I had ever heard before. They didn't move about a lot in those days, they more or less just stood there and blasted out a string of numbers with such power that the floor of the old Cali was vibrating like never before. Not many people were dancing - most just stood and watched and wondered about what was happening. It's a long time ago now - 40 years or so - but the memory is still vivid. I particularly recall their rendition of a song about the Jaguar and the Thunderbird and of course their new hit 'Come On' which was much better live than on disc. And the memories came flooding back recently when I had the pleasure of seeing a tribute performance that rolled back the years. 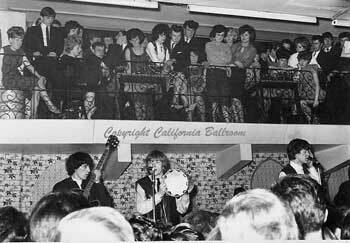 Memories: earliest memories of the ‘Cali’ (July 63) was watching the Stones uniformed in blue tabs and leather waistcoats playing 2nd bill to Russ Sainty and the Nu-notes. Bill Wyman had a string break on his homemade bass and with Bill’s upright style this whirred around his head for the rest of the set.